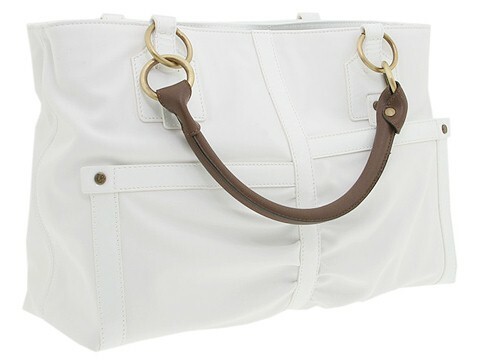 Your style status will flourish with Donald J Pliner's 'Daisy' tote. Made of sumptuous leather. Holds your wallet, sunglasses and personal technology. Dimensions: 16 wide x 4 1/2 deep x 11 1/2 high. ; Dual handles. Handle drop: 6 1/2 length. Rear exterior zip pocket. Protective dust bag included. O-ring details. Platform bottom with feet to protect bag when set down. Inside magnetic snap closure. Fabric interior lining with a back wall zip pocket, multifunctional slip pockets and a center zip divider.